Your patients are looking for you on the web. Are you there yet? A website is your gateway to the modern day patient. 80% of all people search the internet for health information before contacting a health professional. 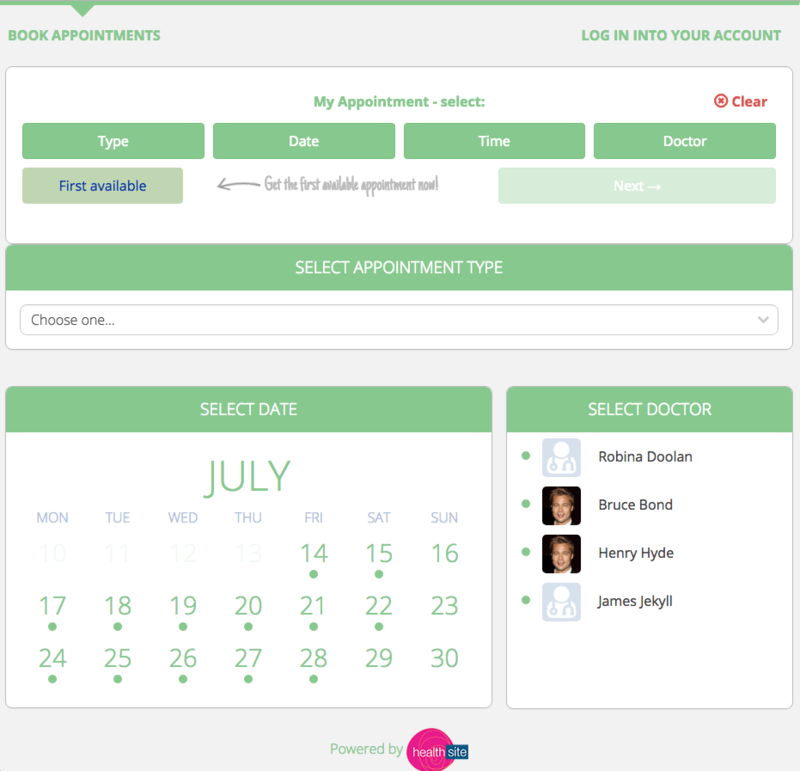 Your patients will now be able to view and book your available appointments online through your own website! happy patients & happy staff. Your patients will now be able to check themselves in! Your patients can check themselves in via either your clinic app or an onsite kiosk. Your patients will now be able to fill out or update their patient registration prior to their appointment! Make sure your patients' never forget an appointment. Full Automation reduces time spent on recalling patients. Let patients renew scripts without your reception. Connect with patients with today's most effective form of communication. For non urgent enquries and more information about our products send us an email via the form to the right. For support please contact the office on 03 9592 8986 or click here for common support answers.